Why do some think that we MUST follow Waldseemüller? Why do they think his map determines names for all time? Names change frequently all over the world and all through history. Words acquire new meanings all the time in all languages. If someone is speaking English, and they say ‘America’ to refer to the USA, they are not using the word incorrectly. That is the most common usage in English and many other languages. If your language uses the word differently, that’s cool...for your language. English is not ruled by the conventions of other languages. The global Anglo-sphere determines how the language is used, and it has overwhelming decided that ‘America’ means the USA. You would be wrong if you told them that their usage is incorrect. English isn’t required to conform to the common usage of other languages. When it comes to proper English usage, it just doesn’t matter how another language does things. Different languages do things differently. Just because something is widely used doesn't mean it's correct. If thousands of people stole,stealing would still be wrong. How is it not correct? It is correct linguistically. And grammatically. And logically. Your dislike of this very common usage is not sufficient for the usage to be considered “incorrect”. The usage is correct AND you don’t like it. They are both true. Your preferences don’t determine the truth. You aren’t the arbiter of what is “correct” and “incorrect”. You aren’t in charge here. The collective global Anglosphere is. We have spoken, and the vast majority of us don’t follow your silly “rules”. Learn your place. How does it make sense logically? If the USA is America then wouldn't North America be the northern states and South America be the southern states? Isn't North America and South America combined, America? Wasn't America used during colonization to mean the new world that is now North and South America? Isn't the country called the United States OF America meaning the country is made up of unified states in the greater area of America? If America is the country then why does the states need to be united? Wouldn't it be just named America? Logically it is INCORRECT. How could South America not be included in America? Did you ever study Set Theory? ‘America’ and ‘American’ have multiple meanings in English and in other languages. ‘América’ and ‘Americano’ have multiple meanings in Spanish and Portuguese. Not all Spanish speakers use ‘América’ and ‘Americano’ in exactly the same way. Not all Portuguese speakers use ‘América’ and ‘Americano’ in exactly the same way. No one person or institution speaks for all speakers of a language. No one person or institution dictates which usage is “correct” or “incorrect” for all people in all contexts. A person might not like how other people use certain words, but that does not mean that said usage is “wrong”. In English, ‘America’ usually means the USA. It has this meaning even if some people don’t like it. Their disapproval doesn’t change the meaning of the word. Their objections don’t mean that such usage is “incorrect”. ‘America’ is a PROPER NOUN. A PROPER NOUN is a NOUN. A NOUN is a WORD. Etymological fallacy is the faulty argument that the "true" or "proper" meaning of a word is its oldest or original meaning. Because the meanings of words change over time, a word's contemporary definition can't be established from its origin (or etymology). The best indicator of a word's meaning is its current use, not its derivation. AMERICA is a PROPER NOUN, which is a NOUN, which is a WORD whose MEANING CHANGES over time. America is a noun used for the first time in 1507. It was written for the forst time over Brazil, which is located in South America. Sorry, but your country is not America. Sorry, not your choice. It's our choice. The Olympic flag doesn’t prove that it’s “incorrect” to call the USA ‘America’. The Olympic flag merely demonstrates that some people see the Americas as one continent. This view isn’t any more “correct” than seeing the Americas as two continents. In English, the main meaning of ‘America’ is the United States of America, and the main meaning of ‘American’ is a citizen of the USA. Many other languages also use these meanings. You might not like it, but that doesn’t mean that any language rules are being violated. Words can and do have different meanings. New meanings can and do arise over time. This is how languages work. The facts of the meanings and usage of words are not invalidated simply because someone doesn’t like them. 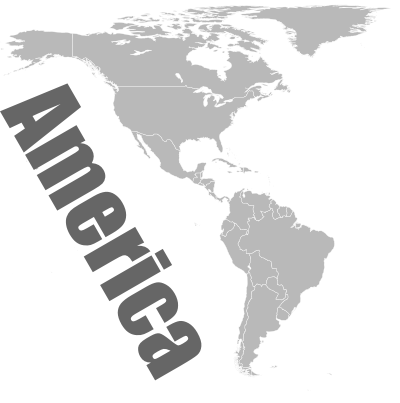 "America" means "las tierras de Américo" (the lands of Americo). Américo Vespucio (italian name: Amerigo Vespucci) was the explorer who realized that Christopher Columbus didn't land in India, but in a new continent. Americo never set foot on the current territory of the United States. Americo explored SOUTH America instead. The first time the name "America" appeared on a map, it was written over Brazil. So, what do the United States have to do with Americo or America? Perhaps not a darn thing. What of it? Our country, we decide. You notice we don't demonize Germany despite the travesty of the Second World War. We let you proudly call yourselves Germans and celebrate your heritage without bashing you or telling you how to self-identify. And set theory? Really? You have to get into mathematical logic to make your point? This isn't a conversation about math logic. This is about a country that chose its own name and its demonym. If you don't want to call us Americans, then don't. But we'll do as we please. So true as this site explains it! I'm from the united states ad I agree with you,Roberto.